Good food starts at the market, a truism, applicable to every great food city in the world. It’s not the food that people sell but what they cook that is the soul of the place. It’s not what you read in press releases about Birmingham food but what you are cooking and eating every day that counts. That’s why we have to reconnect with Birmingham Markets. 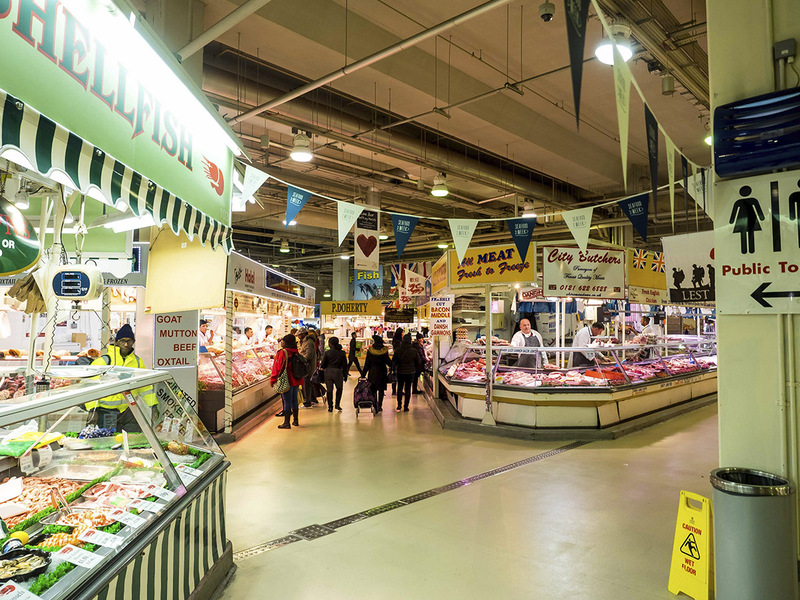 I’ve been shopping here for close to forty years, from being dragged around by my mother in the dingy basement of the old Bullring to shopping for fresh seafood for one of my cookery classes at Loaf. I’ve always loved the atmosphere at the market, here you will find all kinds of people. It has no pretensions to being multi-cultural, it has always been inclusive and is the centre of diversity in the city. It will continue to be as long as we all want it and use it. 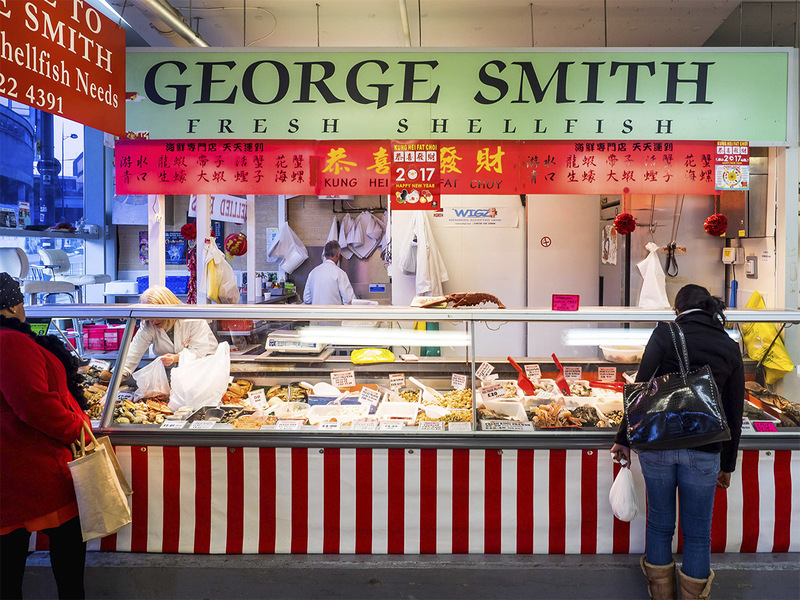 George Smith Shellfish. Always my first stop, not least because it’s the closest stall to the large double doors leading from Chinatown. 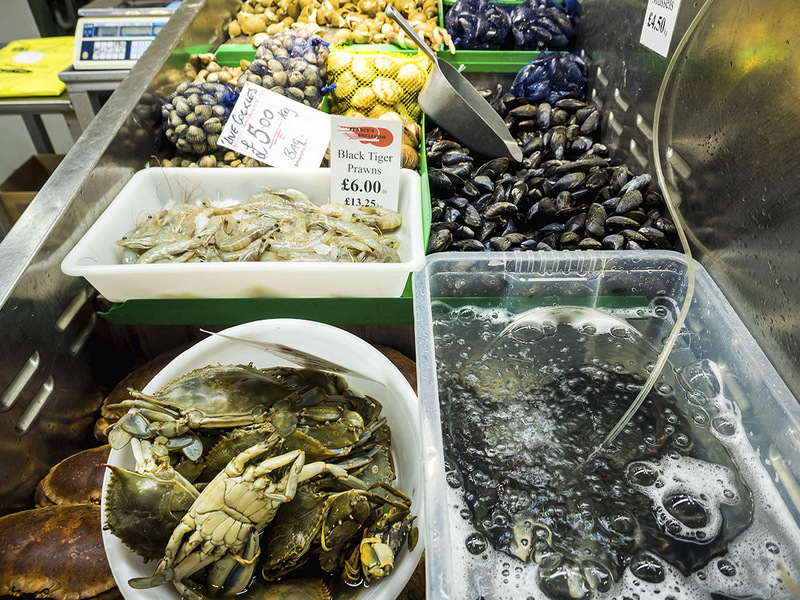 Check out the live crabs to one side of the counter. Pick them up, if they feel heavy for their size then they will be packed with meat. Same thing with lobsters, the more they wriggle the fresher they are too. Ask questions, they always have more in the chiller. 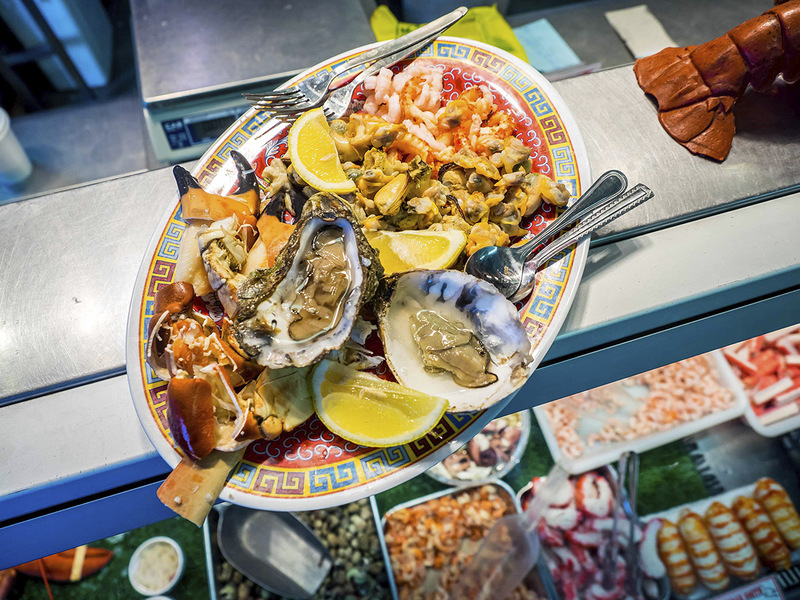 If you’re not in the mood for live shellfish, buy a ready to eat platter and hunker down next to the old gents at the back counter. A squeeze of chilli vinegar and a tinkle of salt accents the fresh seafood and instantly rekindles memories of seaside holidays. Snap back to Brum to explore the rest of the market. 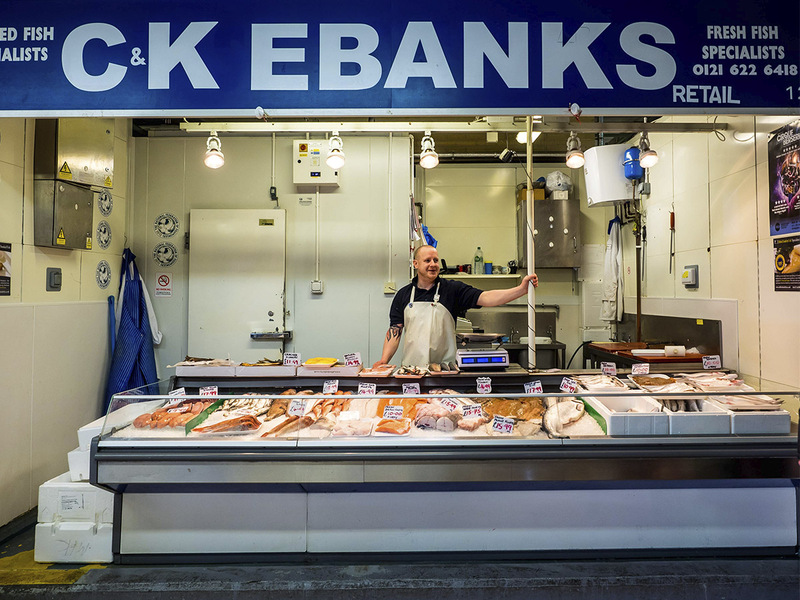 Next door to George Smith, Ebanks is the retail arm of one of the major players at the wholesale markets. The stall may look small, but they only display what’s needed. 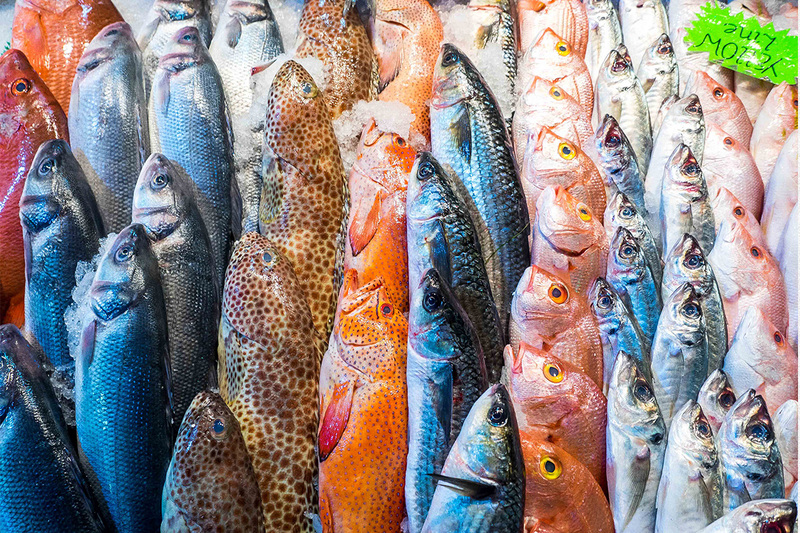 The fish is consistently the freshest, so it’s a good habit to check this stall first before gaming the rest of the market. This is true in any fish market in the world. You do not buy the first thing you see! You don’t even buy what you think you want. You buy what is freshest. The small market sushi joint Otoro orders salmon and tuna here so they know it’s best too. The flatfish at Ebanks is always very good, Dover soles firm, lemon soles slimy fresh and shoreline halibut when in season are a real treat. They also always have fresh fish roe when in season and don’t miss out on the smoked fish. They sell my favourite Craster kippers, deep funky smokey fishy goodness. If you have it for breakfast it’s guaranteed to repeat on you for the rest of the day. It’s clear when you go to a fresh fish counter at a supermarket that there’s a lack of diversity. Take flatfish, for example, there might be some fillets of plaice at your big Sainsbury’s with a fish counter. 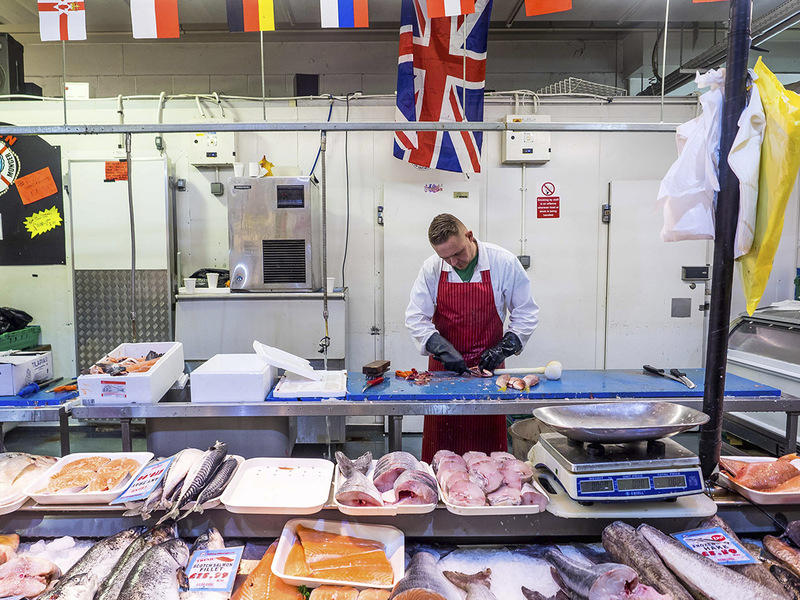 At the fish market, there will be plaice, lemon sole, Dover sole, halibut, turbot, brill, megrim and dabs. All fresher than at Sainsbury’s. That’s just the local fish. You should see the fish people from other parts of the world eat. The diversity of it. They’re all here and they are all amazing. All the hues of tropical waters, turquoise parrot fish, scarlet groupers, conch shells as big as your head and actual Bombay duck. Big fat Mediterranean octopus, squid and cuttlefish, reminiscent of long hot summer holidays. If you want to broaden your culinary horizons just jump on a buzz to the market and leave the passport at home. 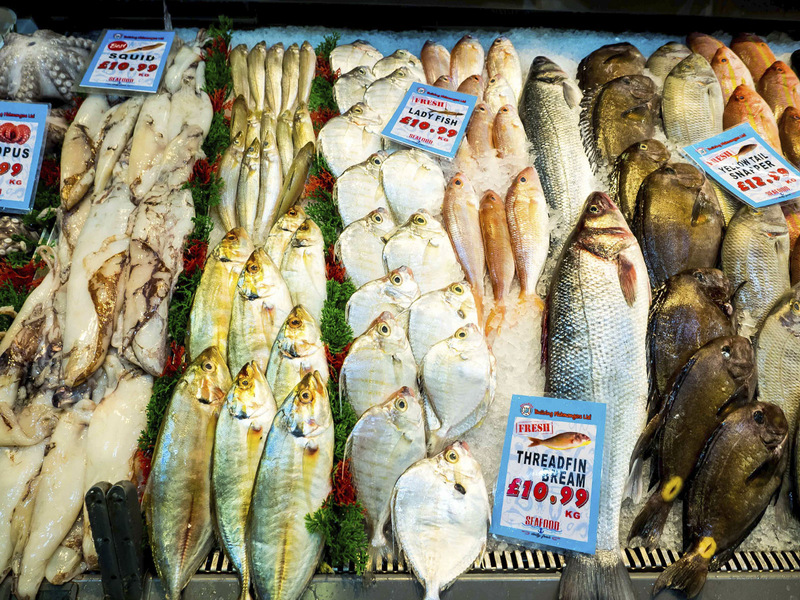 Most of the fish stalls at the market have global fish, some turnover faster than others so trust your senses. Touch, nudge, check gills and eyes for freshness. Ask other punters how to cook it or just take it home and experiment. That’s the beauty of seafood, not only in its inherent diversity but also the countless ways you can prepare it. If you want to eat good food, just start cooking and eating seafood. Do Brum a favour and go to the fish market.